I just completed 3 raised beds for my fall garden. After harvesting garlic and shallots, I used a weed eater to burn down the remaining weeds. 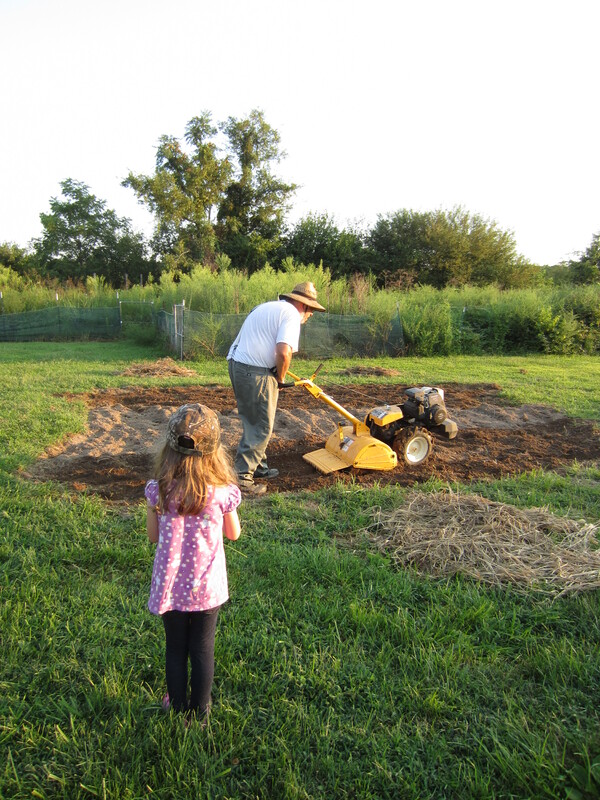 Here are the steps I used to make free-form raised beds. 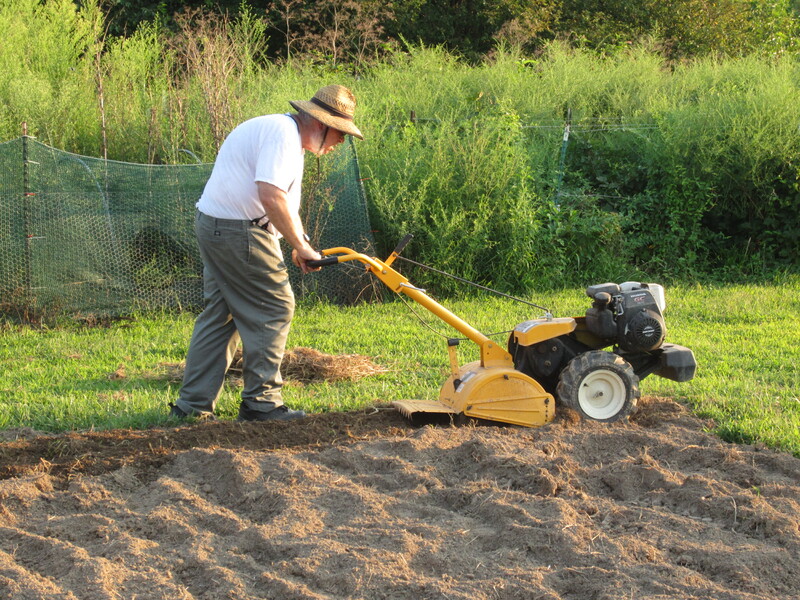 Till your plot thoroughly in several directions. 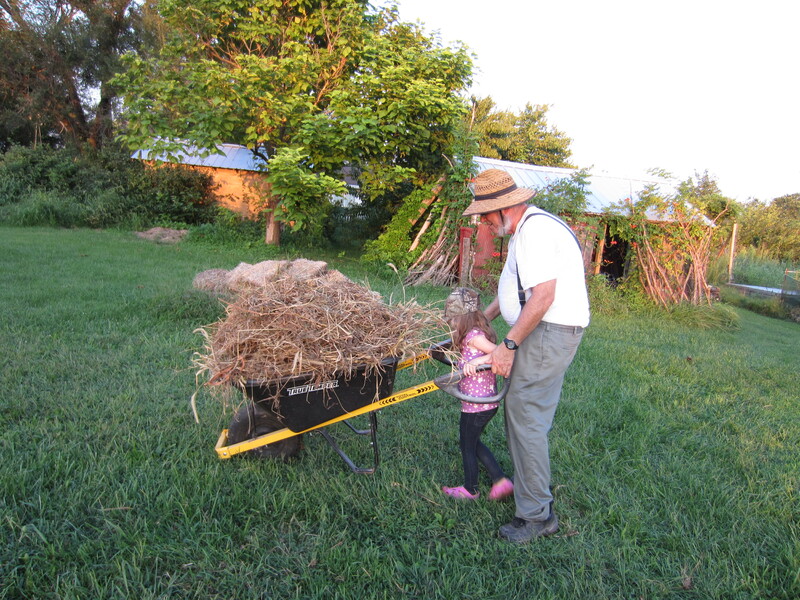 Remove weeds, roots and other debris. 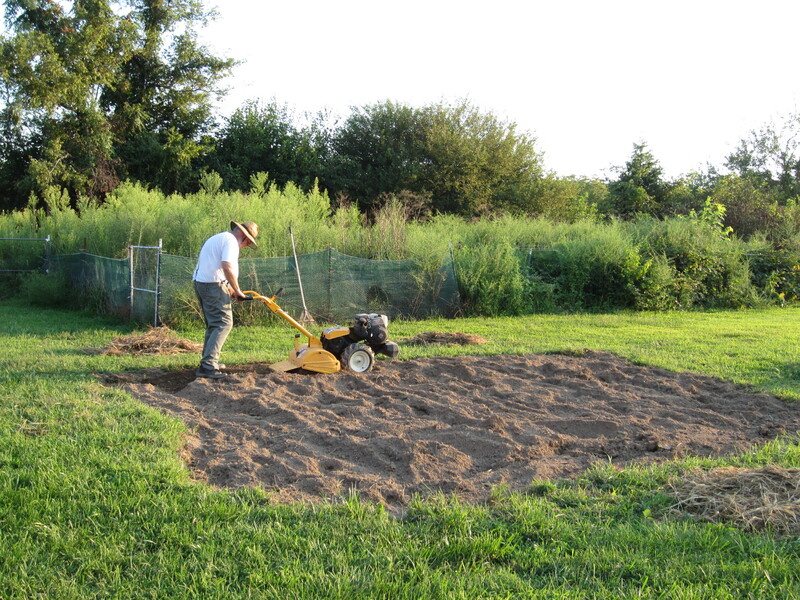 After initial tilling incorporate finished compost to the bed area. Form your beds to the shape and size you desire. I make mine tall due to heavy surrounding soils and standing water after rain. 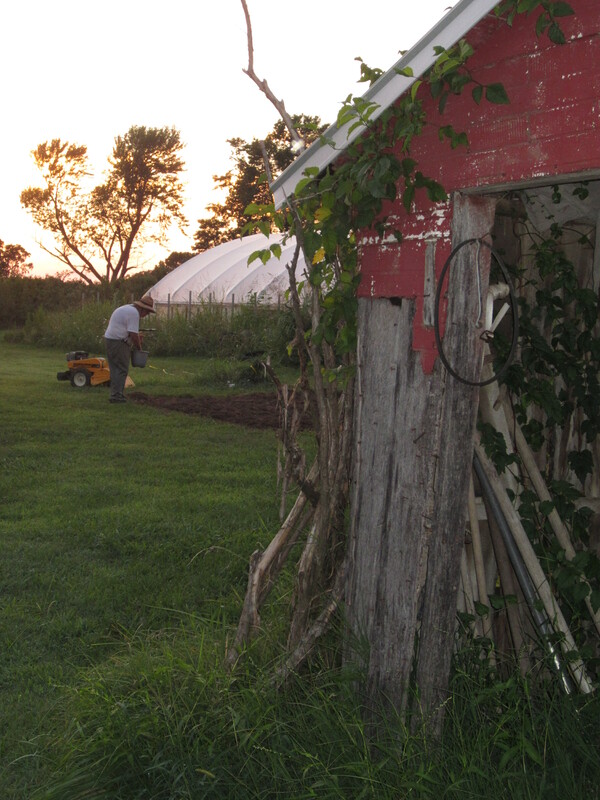 Add composted poultry manure and kelp meal before final raking and bed forming. Some final touches to the bed. 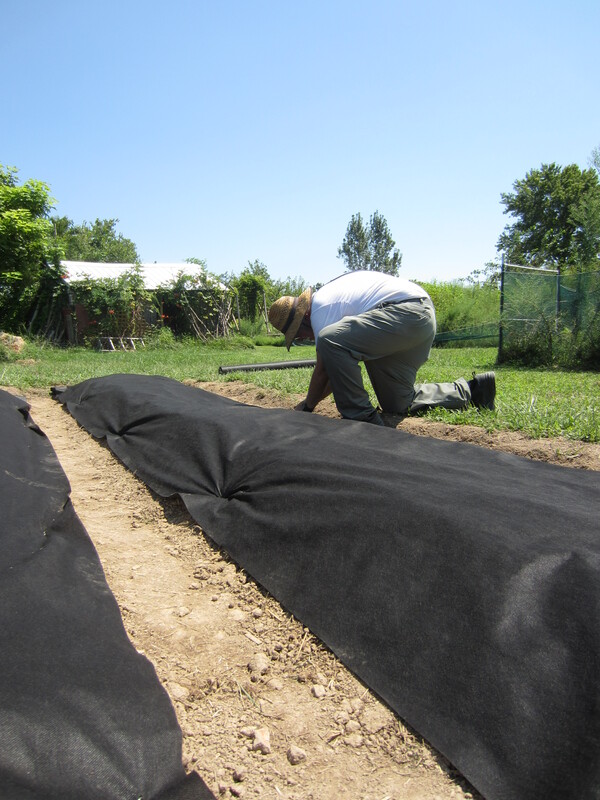 Place your drip or soaker hoses prior to applying weed cloth. 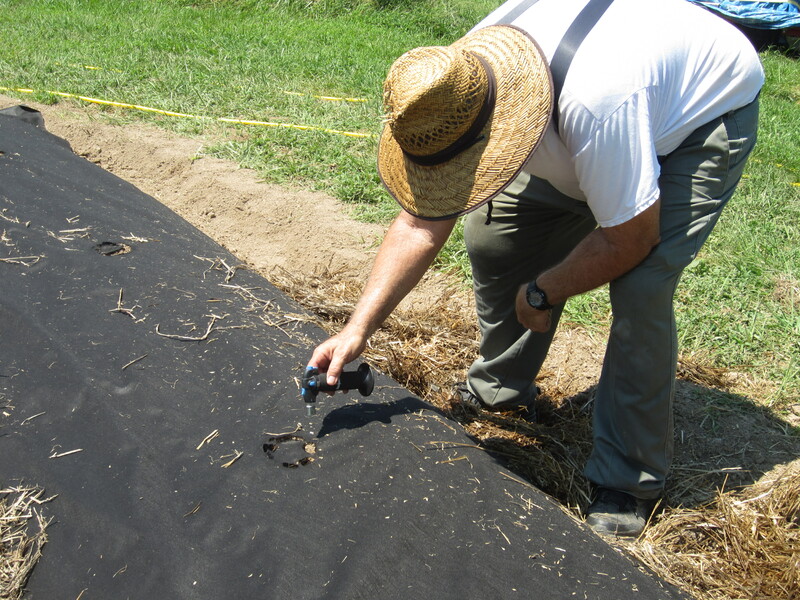 Place weed fabric over the bed and stake down to the adjoining soil with pins of wire. 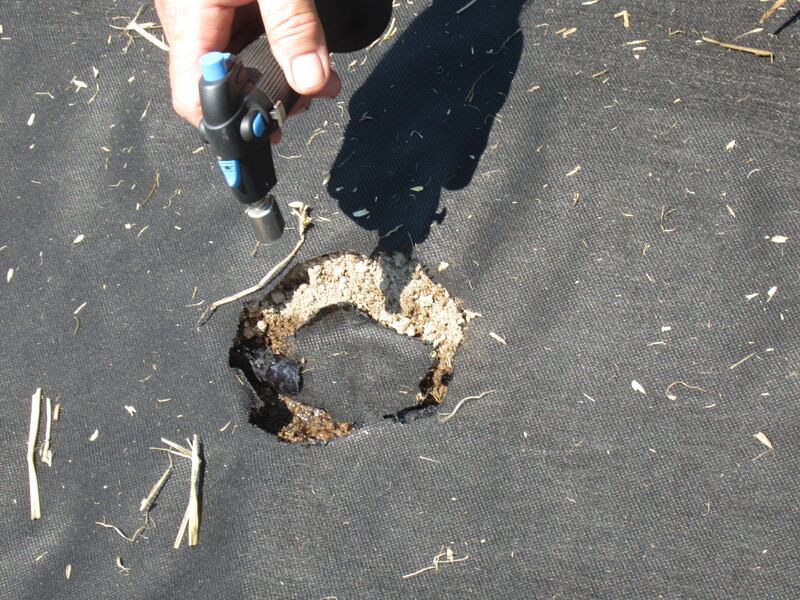 I use a butane mini torch to burn planting holes in the fabric. 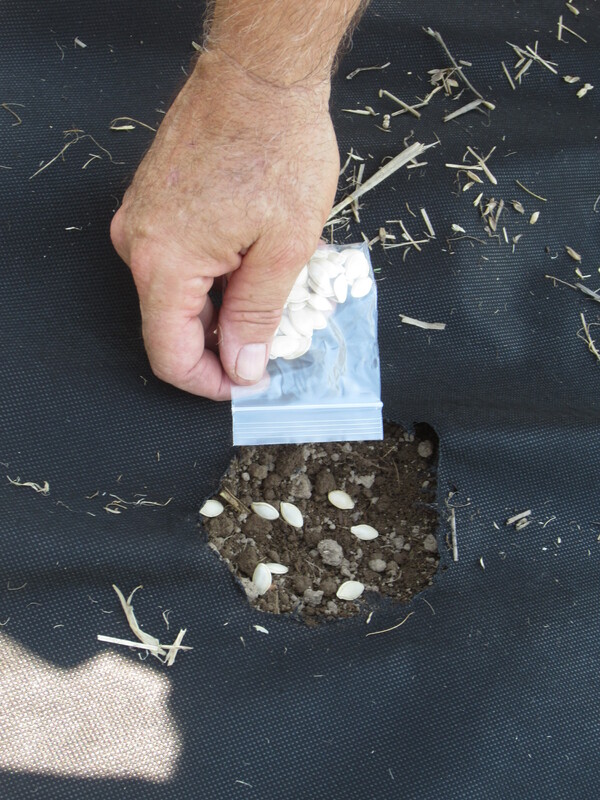 This is an easy way to make your planting areas which will not fray!! Plant your seed in each hole. 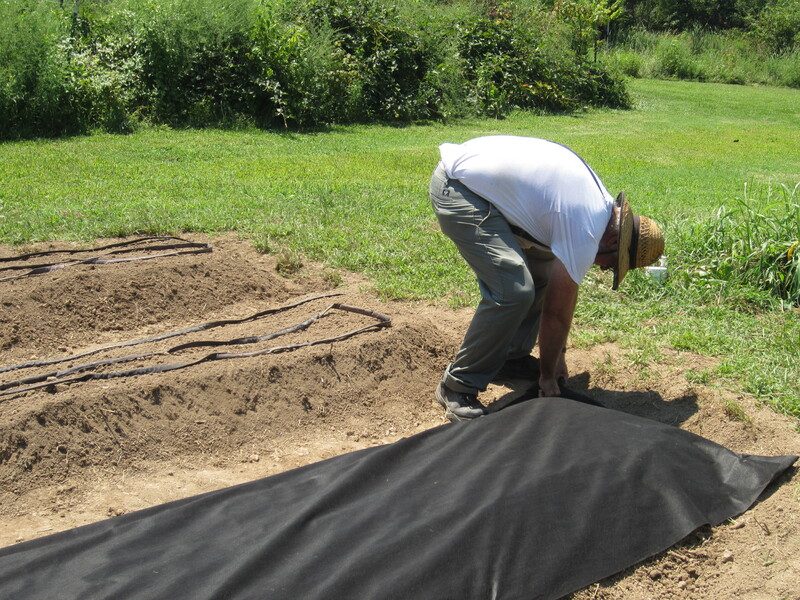 Water the seeds and the weed fabric to start your fall garden. 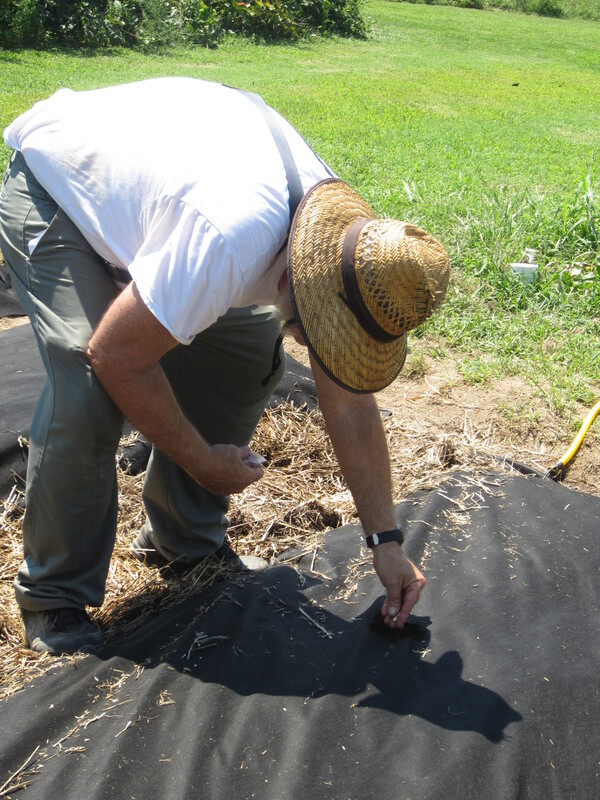 Mulch the middles with straw, used carpeting, cardboard or any other clever method to prevent weeds in your walkways. I use free form beds to reduce the risk of slugs and snails that hide between the bed bordering material and the soil! Plus, it is way less expensive!! Next > Please don’t take my Sunshine away! That looks like a great idea and good for a nice deep root system. I was also admiring that huge greenhouse in the background. 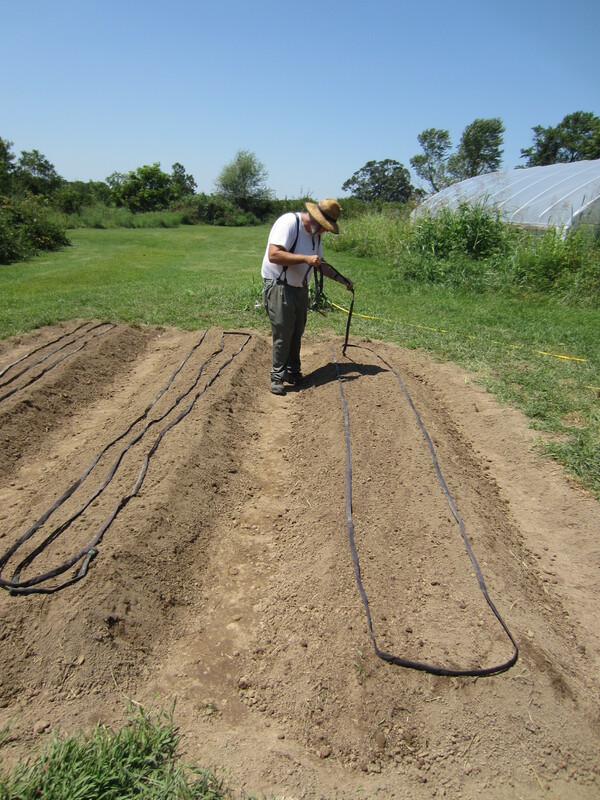 Yes, this method is working for the soil type on this property. Standing water after rains, heavy compact clay soil and never ending rocks keep me busy. 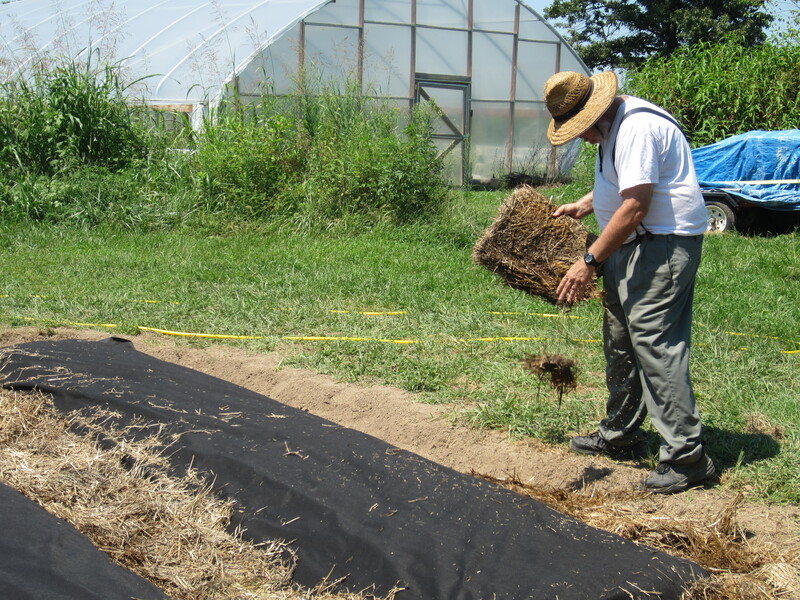 Plan cover crops late fall and early winter to break-up and fluff the beds. Thank you for visiting PapasGardens. 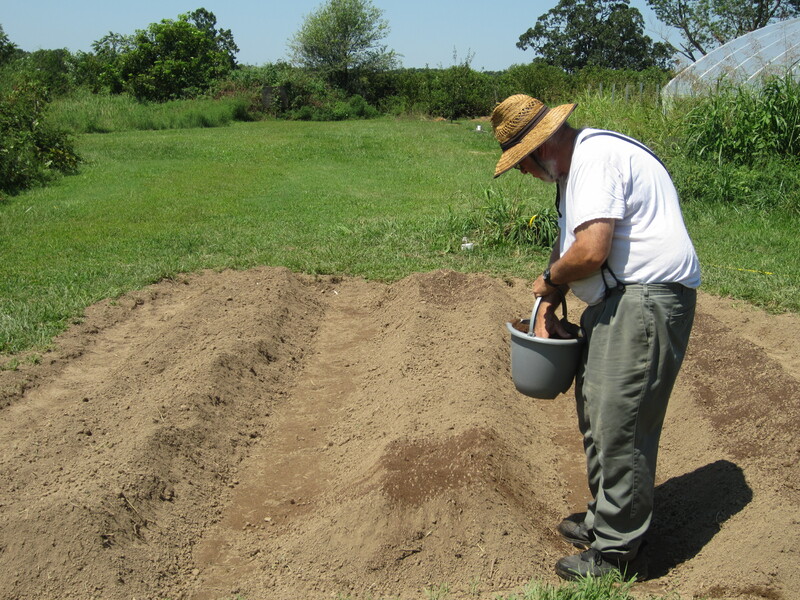 I am trying to improve this property and find deep raised beds are ideal for enriching the soil and maintaining the crops planted. 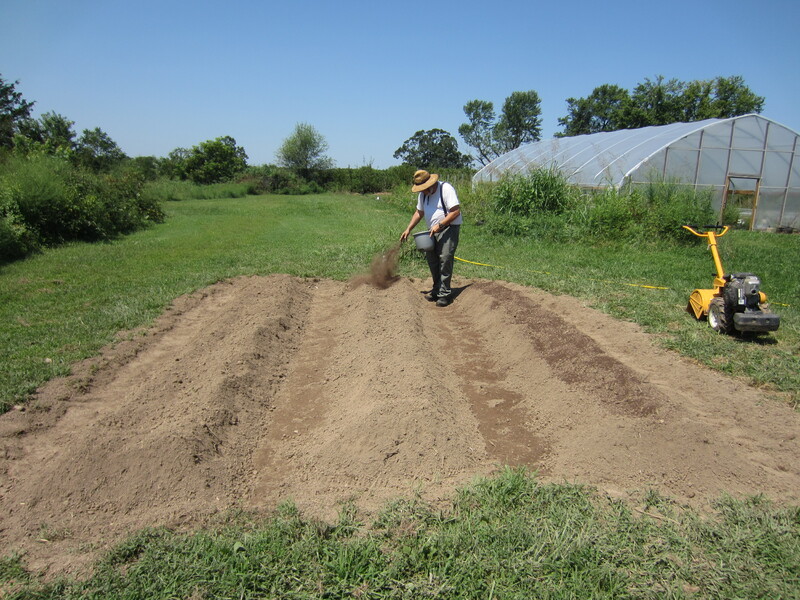 I hope to make additional improvements as the soil is transformed from heavy clay and rocks to fluffy, healthy soil. 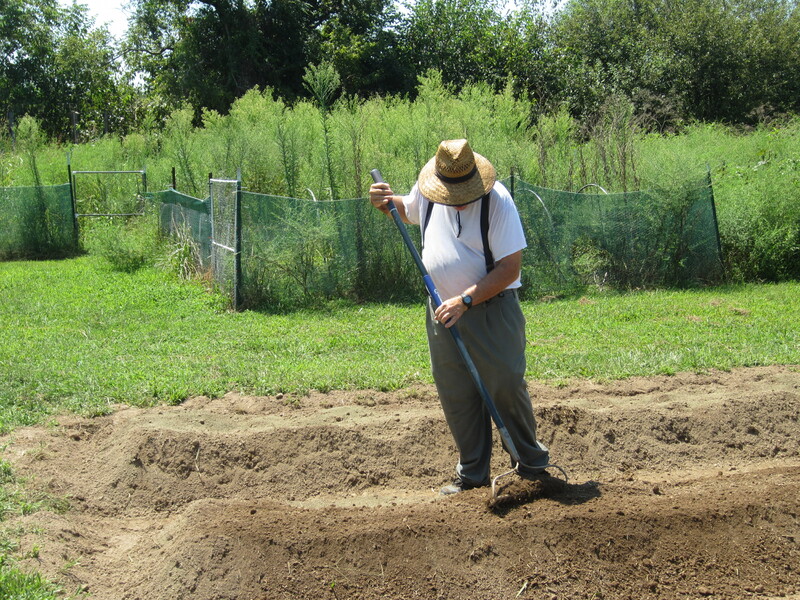 If the soil is healthy the crops will benefit as well. Thank you for visiting PapasGardens. 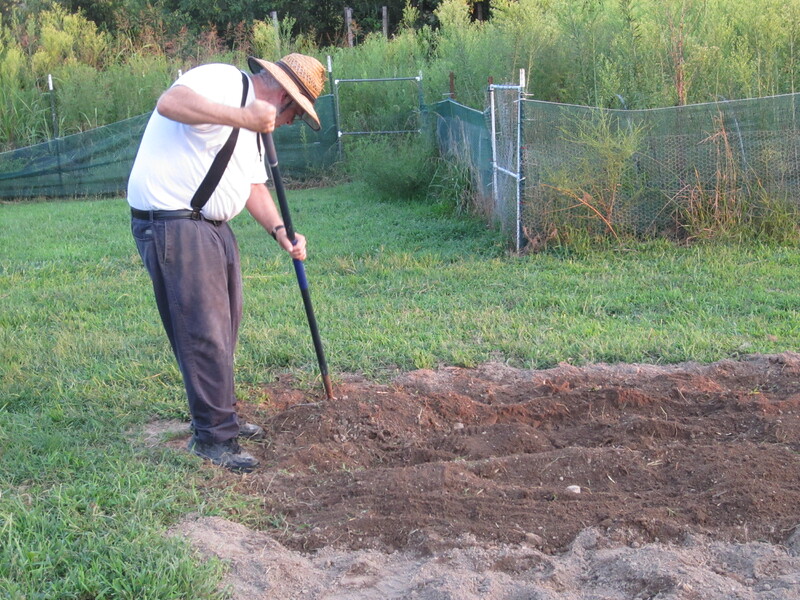 I use this method as I am building my soil to meet the lay of my property. 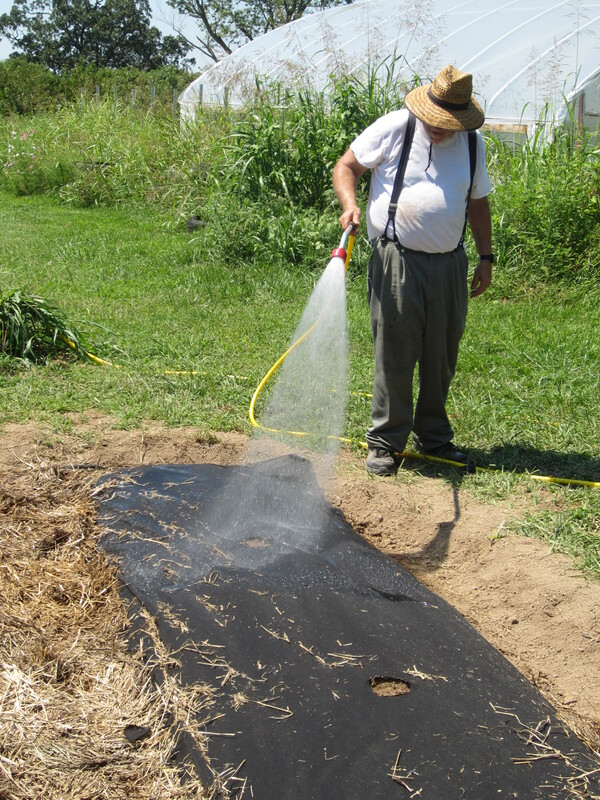 It will take two more years to get the anticipated result of fluffy soil which drains when it rains or floods.